These are insanely good. They’re so fudgey and irresistible and you can elevate them even more by decorating them with your favourite toppings. 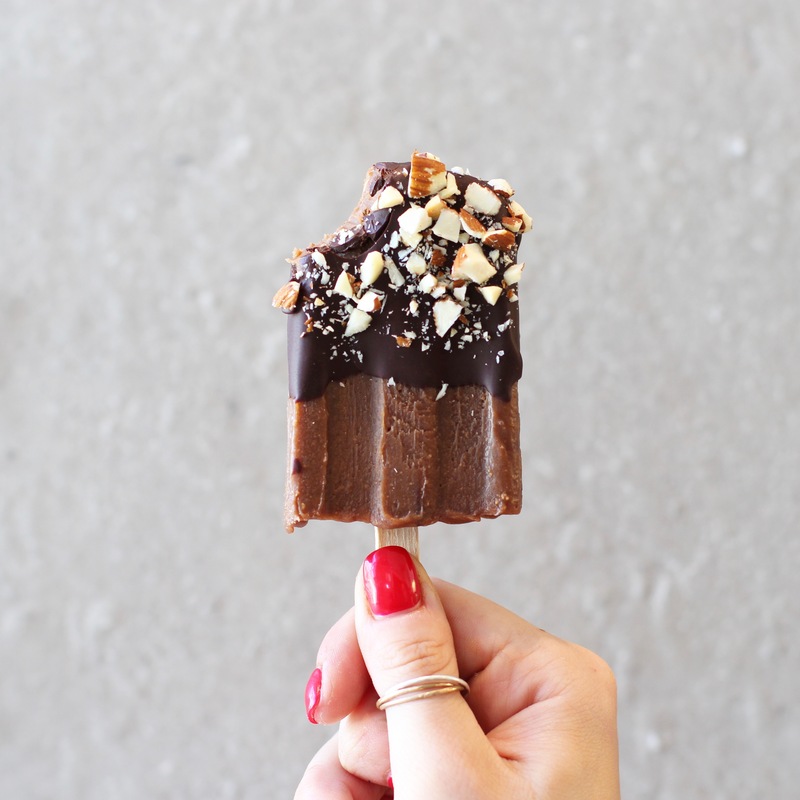 They should keep well in the freezer for a few months (if you have the willpower) and once you have a popsicle mould, they’re so simple to make. Get creative with the toppings, other things like crushed pistachios, bee pollen and coconut are some of my favourites. Add the coconut oil, cashew butter and maple syrup to a medium saucepan on medium heat. When it’s all melted whisk it well until it’s completely smooth. Take it off the heat and add in the cacao powder to taste. I like it super rich so I add 3 tablespoons. Pour the mixture into your popsicle moulds and put them in the freezer for 1-2 hours to set. When they’re frozen, slowly melt the chocolate. Stir in a teaspoon of coconut oil. 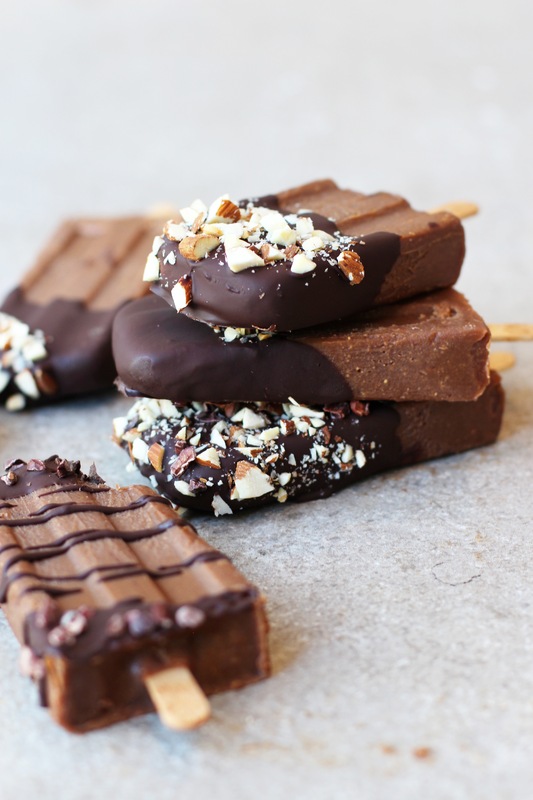 Remove the popsicles from their moulds and decorate them with the chocolate and toppings. Pop them back in the freezer for a few minutes until the chocolate hardens and then serve. These sound great, definitely going to try them. I wonder could i use peanut/almond butter instead of cashew?